So we were back again in Tokyo, trying to catch sakuras this time. But the most detailed of plans was derailed by a major factor which we had completely overlooked: the weather. with the temperature plunging to a chilly 4 degrees (and the rain! ), the buds refused to stir and we understood the much anticipated full bloom on 1 Apr was totally moot. 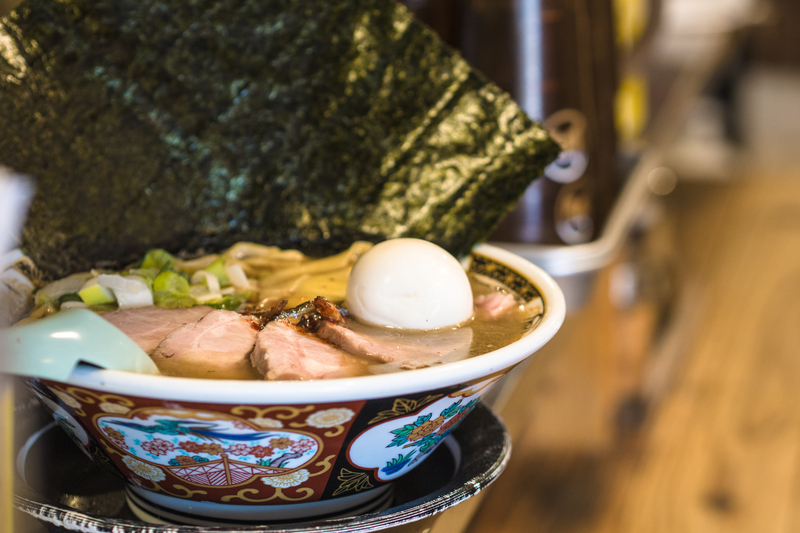 Naturally, ramen had to be the first thing we ate in Tokyo. 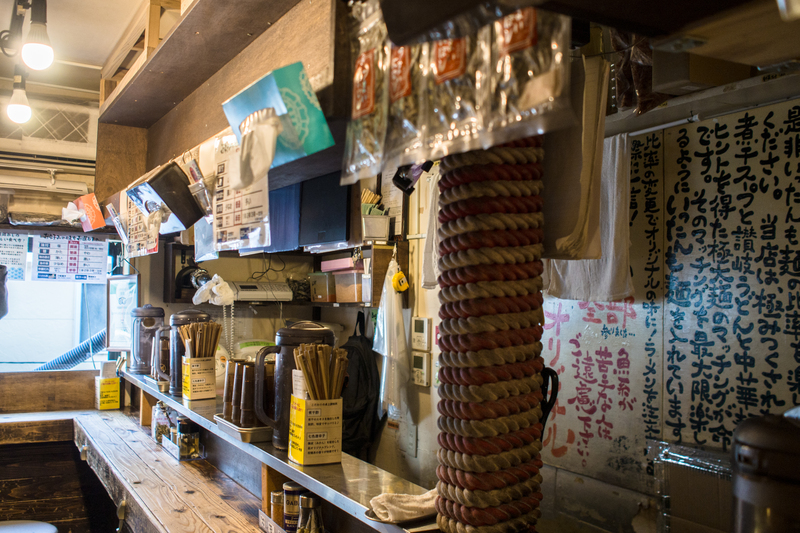 right after we’d settled down in the airbnb, we made a beeline for this tsukemen joint near our house around Shinjuku Gyoen Mae station: Nichoume Tsukemen Gachi 二丁目つけめん ガチ (translation: gachi, the dipping noodles at district 2). It was drizzling and only 530pm on a Sunday. The shop hadn’t packed in the crowd yet so one of the chefs came down to help us with the order – we were impressed he could speak English perfectly! 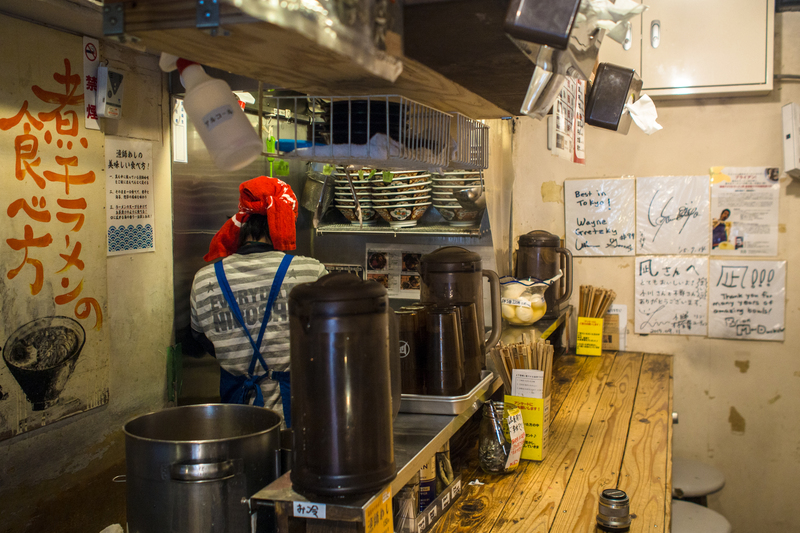 We went straight for the kill: ordered 2 deluxe sets (shio and red soup) and 1 regular soup ramen from the g* menu. Then we were asked what portion of noodles would we like. 200g? 300g? The flight meal was quite measly so we were leaning towards 300g. The nice young chef was amused and tried to dissuade us subtly; uh-huh, eventually, we settled for 200g. Because hey the night was still young and we could find plenty of other stuff to eat throughout the night (oh yeah, we did). I loved everything in that bowl because they were all so good. the noodles were thick and springy. The chicken cutlet was succulent and crispy. And the 2 long strips straddling the bowl was some kind of bamboo shoot thingy; they were so delicious i felt like ordering seconds. If only i knew what they were. What a lip-smacking start to our food adventure! I was feeling quite pleased with myself inside but had to hold back a bit: i was on a mission and this was just the beginning. It’s open 24×7 and there was no queue at all on that weekday morning before 9am. Not just that, we had the whole shop to ourselves. yes! Another coup! 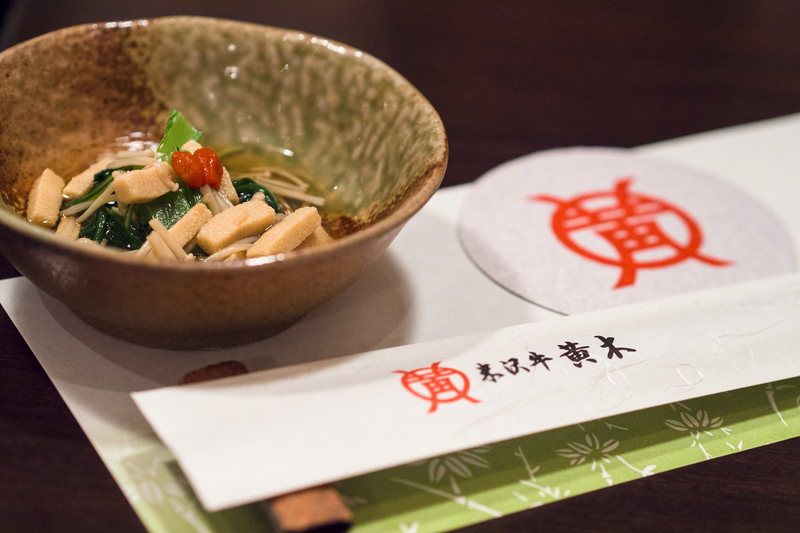 The broth was made by boiling sardines, lots of them, so it was really very flavourful. 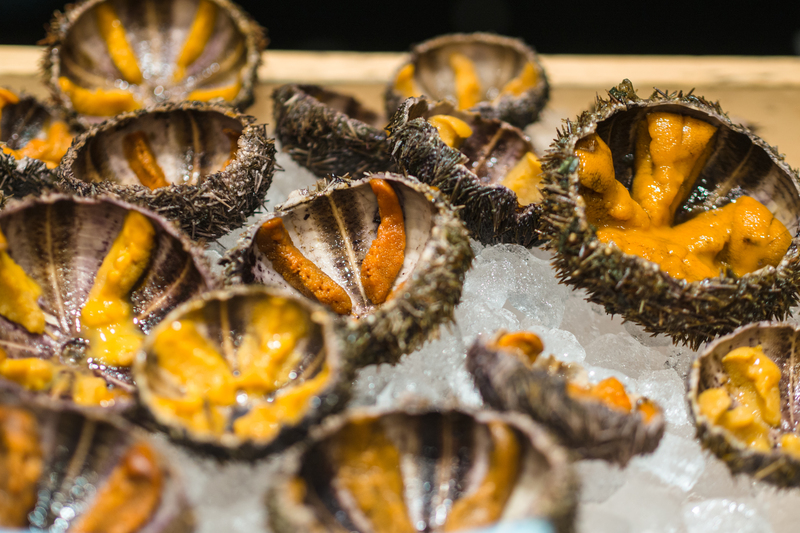 Even a non seafood person like me could appreciate the depth of the flavours. Despite the amount of sardines that must have gone into the broth, it was only slightly fishy. So ok, i get why many people would rave about this place. 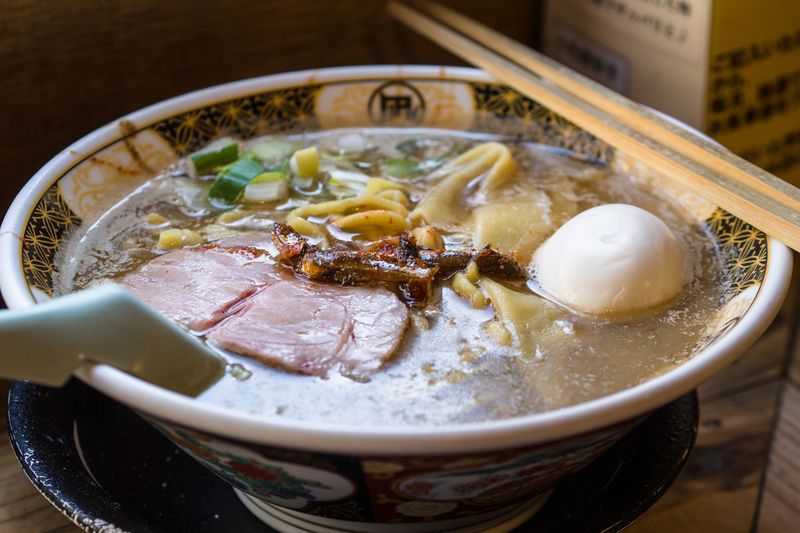 Interestingly, the ramen came with the usual thick yellow noodles and a few pieces of thin wide noodles much like the noodles we use to make hor fun. Both were delicious and complemented each other perfectly. 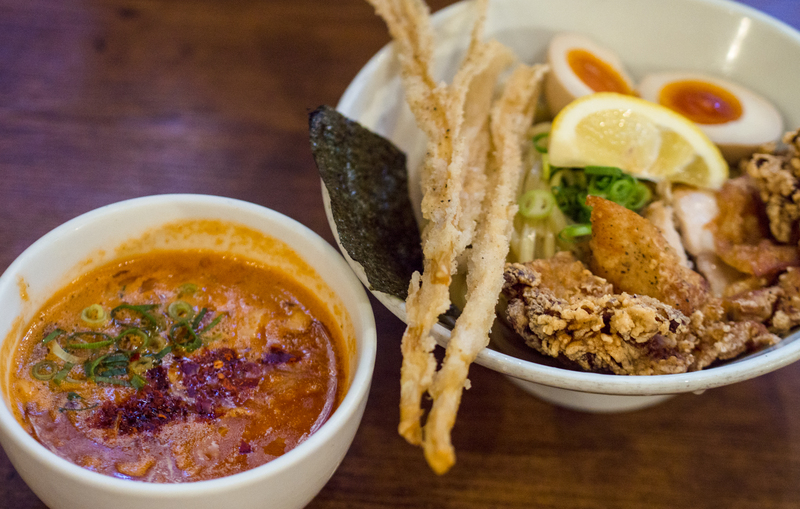 If you are truly famished, order the original ramen+rice set (1090 yen). 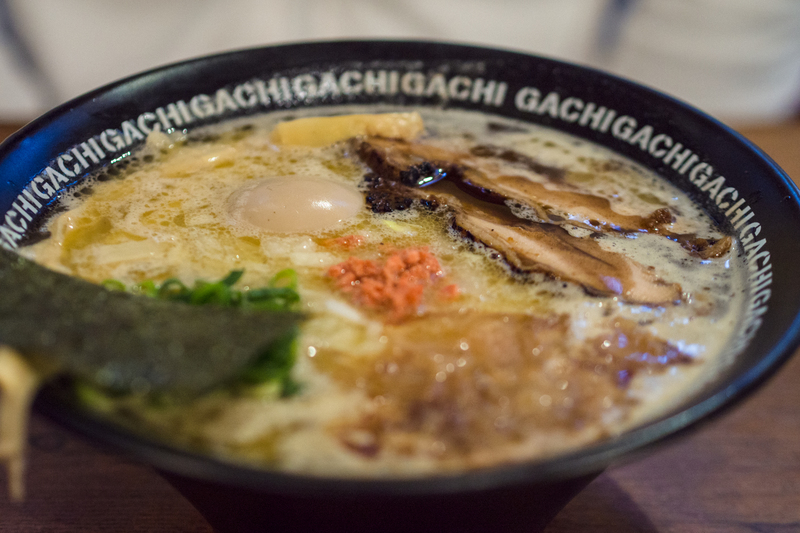 The way to eat it is to finish your ramen first, then pour the soup broth into the rice. 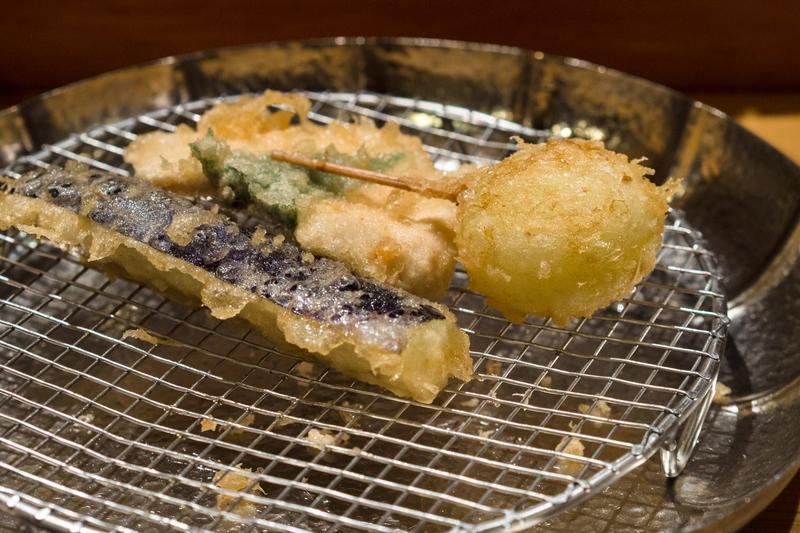 I’ve always wanted to try Tempura in Tokyo but Tempura’s usually centered around seafood. It was a real chore trying to find one that had a sizable variety of non-seafood items on its menu. Thankfully, there’s Tendon Kaneko Hannosuke 天丼 金子半之助 (translation: kaneko hannosuke’s tempura don) which was quality and variety and affordability rolled into one. 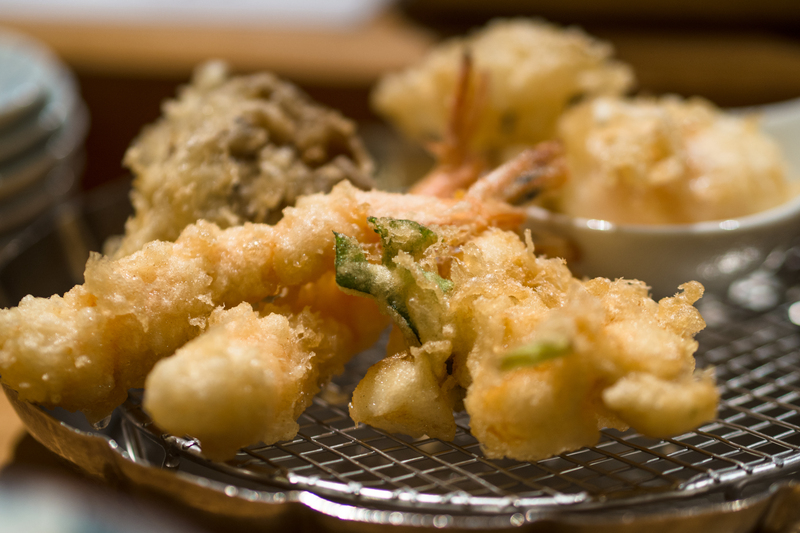 Who needs to go to a tempura joint that cost sgd$100 per head? waiting outside for our turn. glad that it wasnt raining. Other than the usual prawns and fish (anago), there was pumpkin, chicken, mushroom and egg. It also came with a bowl of soup full of clams which surprised me because Ii could drink it (no fishy smell at all!). And guess what, the most expensive set was a very affordable 1380 yen. So proud of myself. 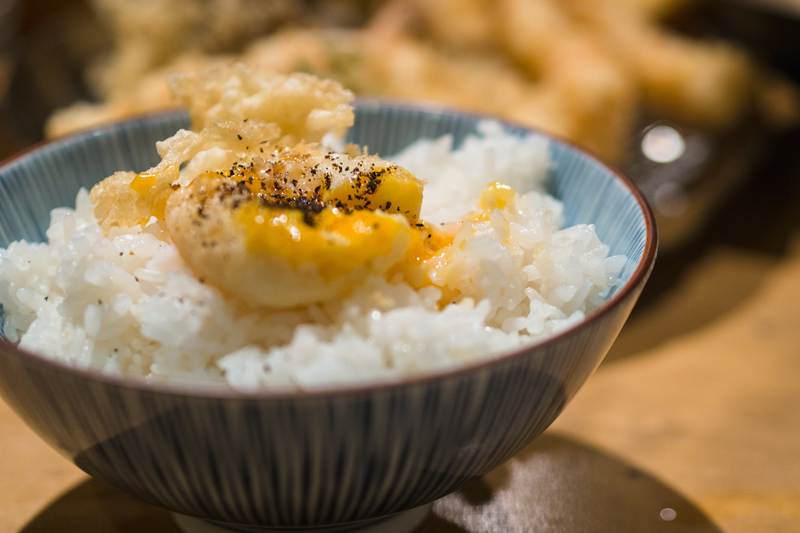 I’m an egg lover so i was already very satisfied with this marvel in front of me: poached egg tempura over rice. 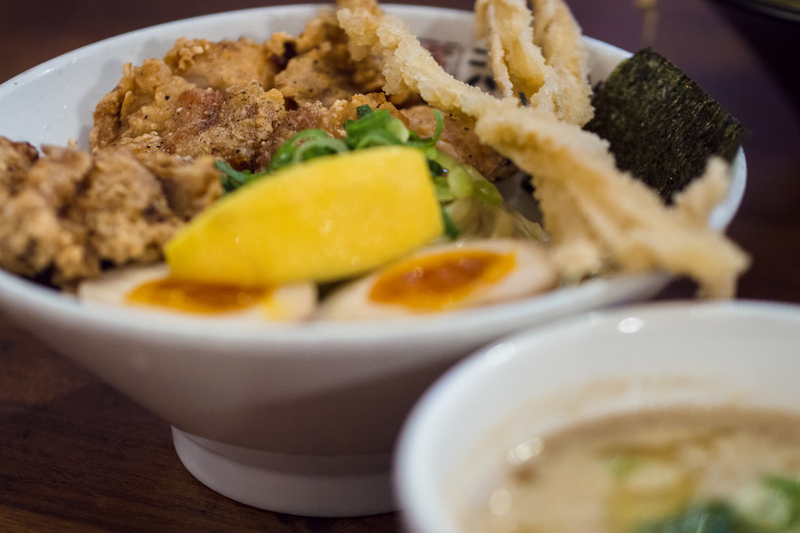 How did they manage to keep the yolk runny after dunking it in tempura batter and deep frying it? Was very tempted to order seconds but … but … I would look like a little kid right? Got these extras instead since i was very hungry from having to miss lunch (the place i wanted to go was closed, my bad). 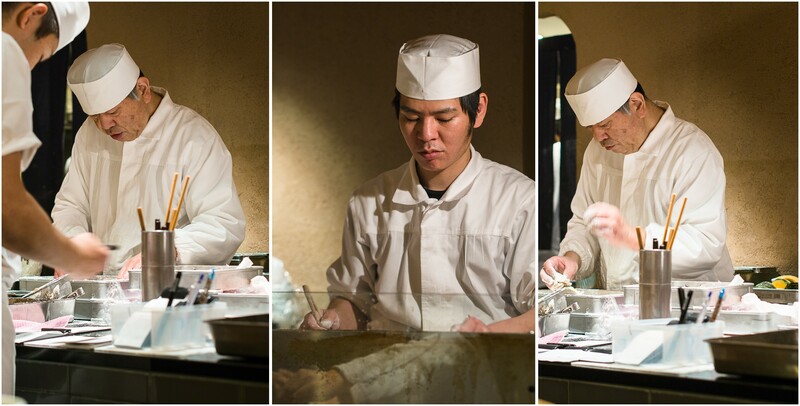 I wondered if this old-man chef was Mr Kaneko Hannosuke but i couldn’t ask. After Gyu-an, i thought it would be good to expand my repertoire slightly. 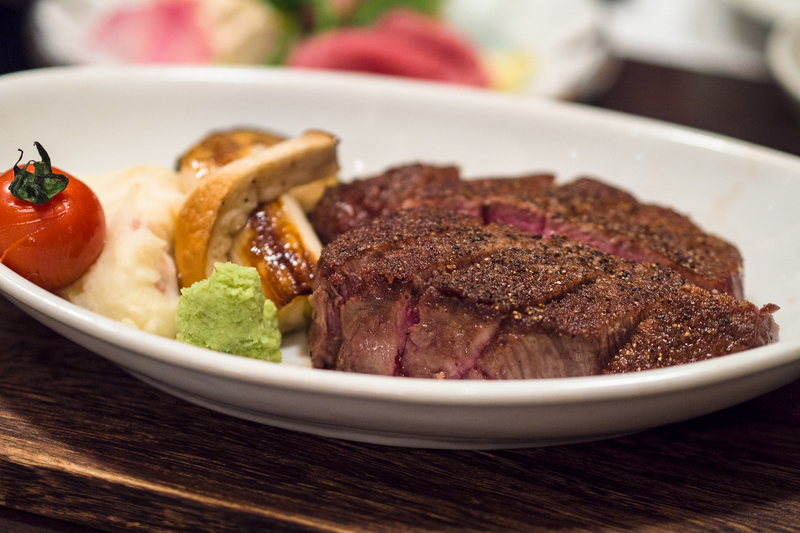 Apparently in japan now, Kobe beef is no longer the top-ranked beef but has been overtaken by a long list of beef from other prefectures (you gaijins, please get yourselves updated asap!). 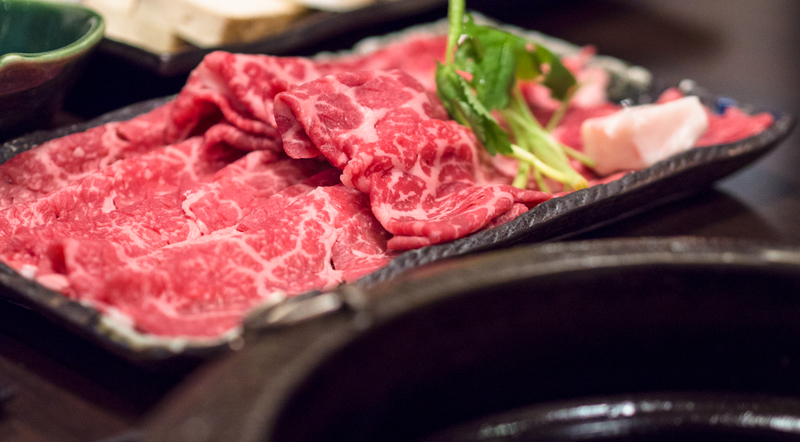 The current top-ranked beef is from Yonezawa so that’s what we had our eyes on. We reserved a table at Yonezawa Beef Oouki 米沢牛黄木, which was conveniently located inside Tokyo station (convenient if you can find your way around in that convoluted maze). Damn, i still couldn’t find the Ramen street. 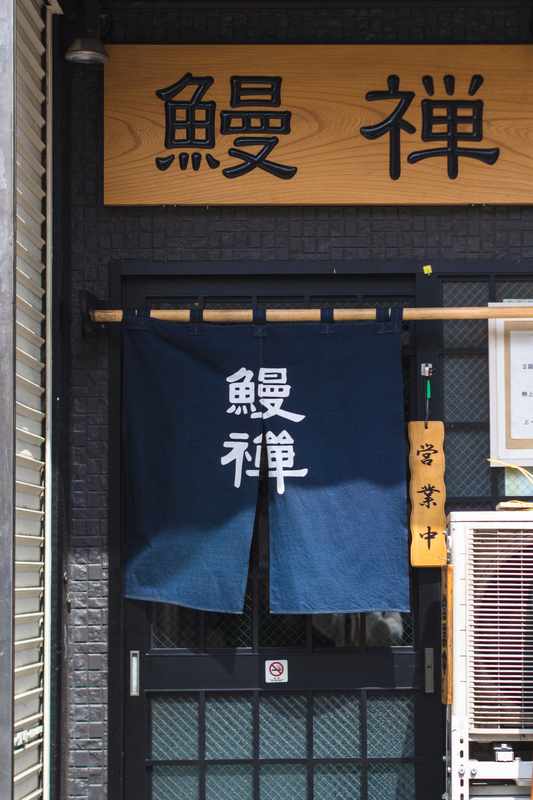 amazingly, oouki was established in 1923, in the 12th year of the taisho era. that makes it a 94 year old grand dame. didn’t know, wouldn’t have guessed. We were starving from all that walking, so we were determined to have a sukiyaki set for 3 plus other stuff (appetiser, sashimi, steak, draft beer etc). Hey, we were famished alright? But the staff hesitated to acquiesce because she thought that was a lot for 3 ladies. Finally we struck a compromise: sukiyaki for 2 pax, a sashimi plate and a large filet steak (the sukiyaki was 4450 yen per pax). 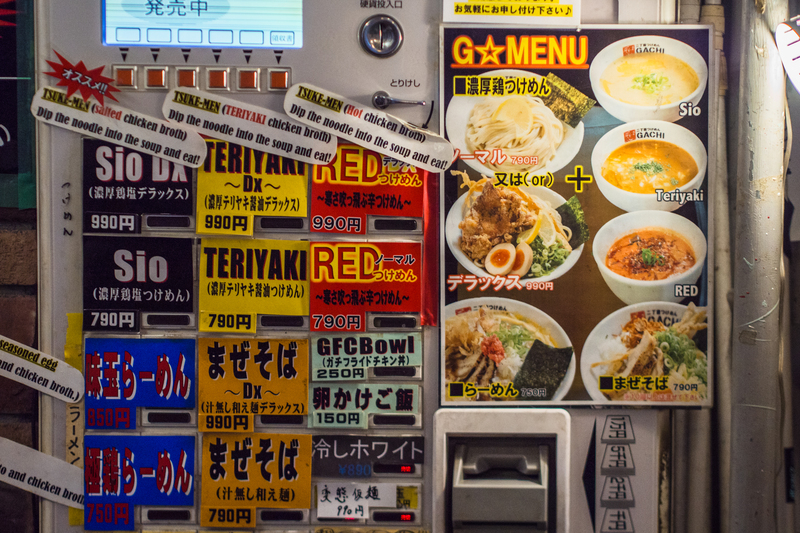 It’s hard to imagine that the restaurant would advise customers to order less, but that’s japan for you. Customers’ well-being first, always. really glad in hindsight because we barely managed to finish most of the food. 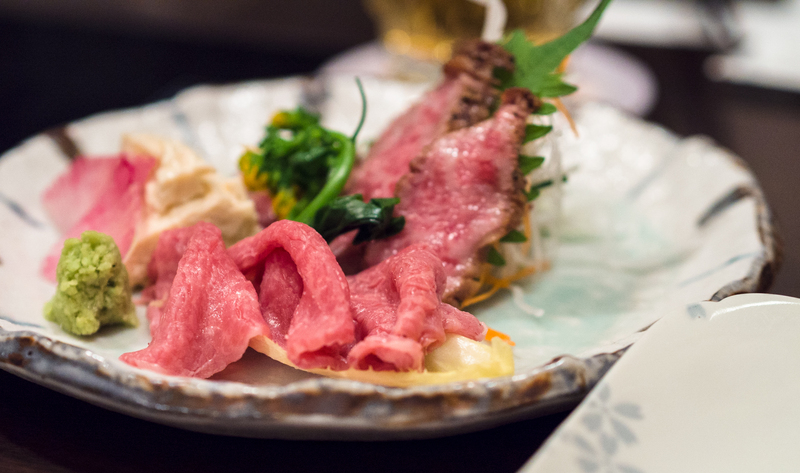 This charming beef sashimi was all melt-in-your-mouth goodness. 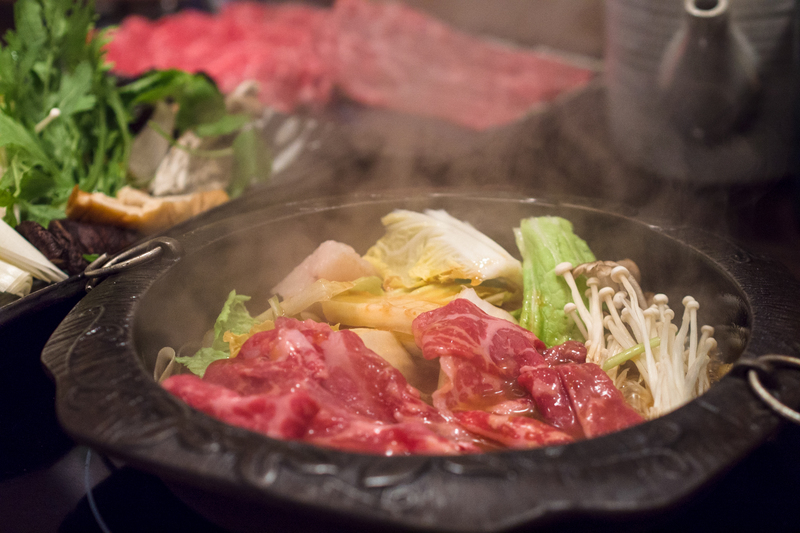 And the elegant sukiyaki beef was looking too delicious for it own good. We couldn’t wait for it to be properly stewed. 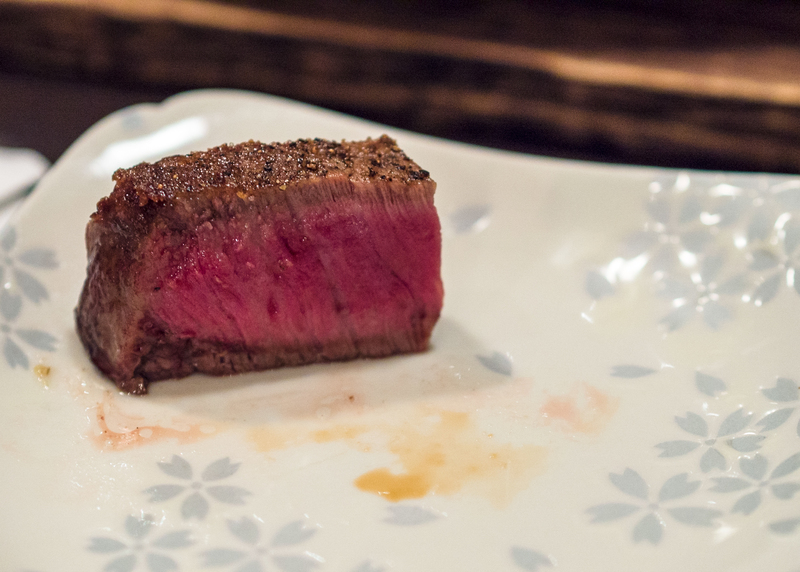 This unassuming, unexceptional-looking piece of beef filet (10,105 yen, 180g) was so good we couldn’t stop eating it at the expense of the sukiyaki. Perfectly cooked (we asked for medium), crunchy on the outside, soft on the inside, this was easily the best piece of steak I’d ever eaten (yes it bested Gyu-an’s). The perfect piece of steak and I still occasionally dream about it. I wasn’t able to properly eat Tonskatsu this time so I was glad we made it to Torikatsu Chicken, a chicken katsu joint that was raved about by a leading local food blogger and another friend who had just gone recently. 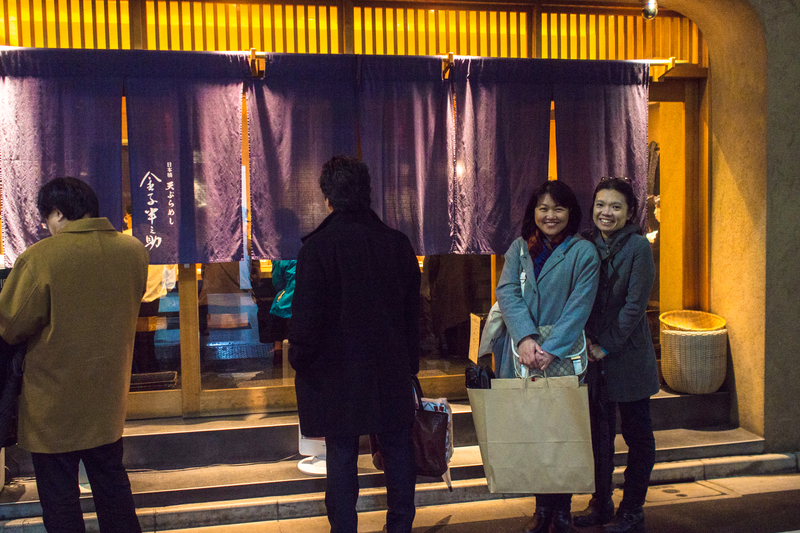 But they neglected to inform their esteem readers and listeners that the menu was in Japanese entirely. Well, you wouldn’t go wrong with their most popular set – the ninki set – that had chicken, croquette and ham. 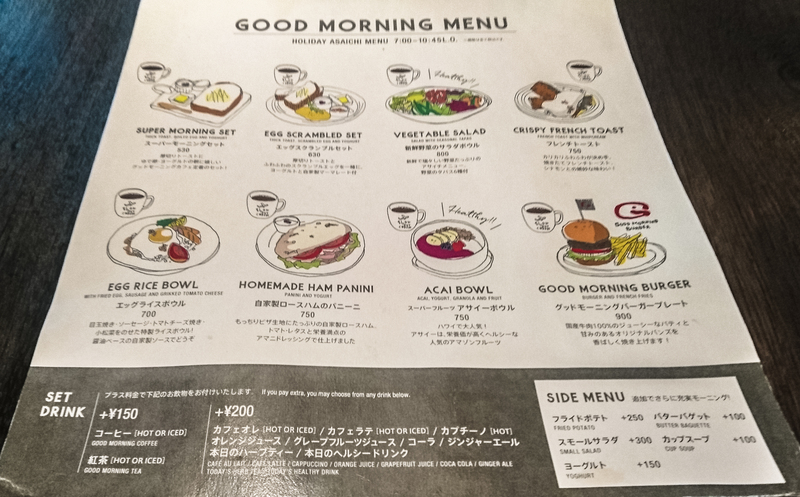 The croquette was very good so you can also order the Tori-croquette set. 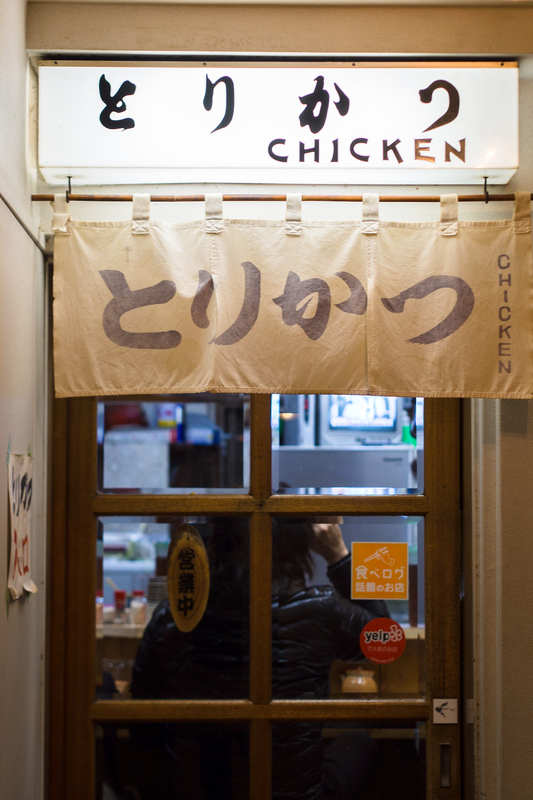 Or if you are a purist and want only chicken, ask for Tori-Tori. I had the Tori-Menchi (minced chicken). 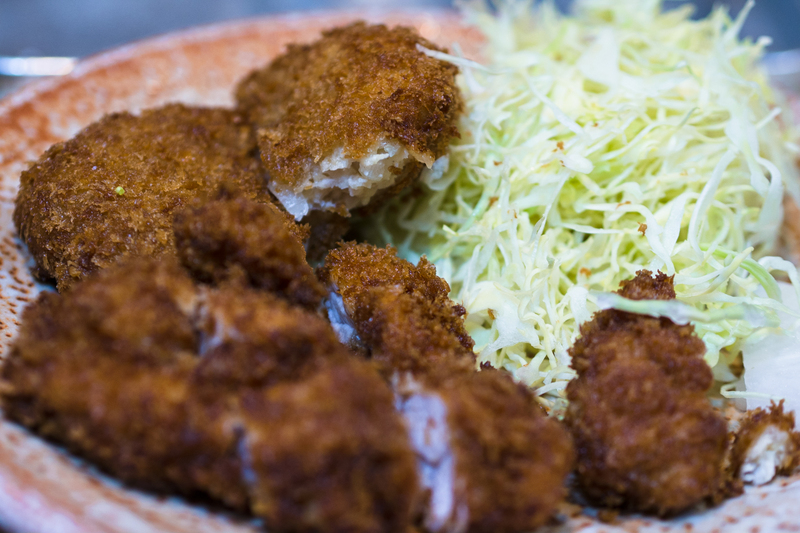 There’s also Tonkatsu but it would be kinda strange to eat Tonkatsu at a Torikatsu joint right? 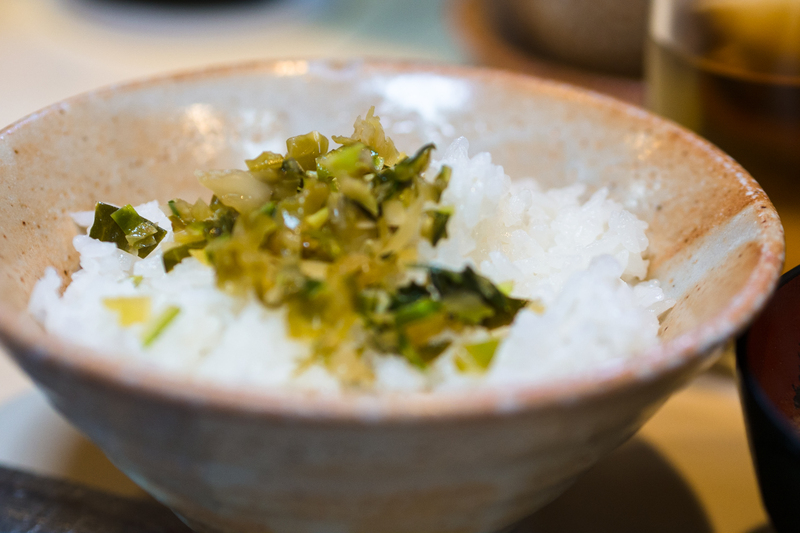 All basic sets (1+1 combi) were priced at 650 yen and included a bowl of rice, a generous heap of shredded cabbage, a bowl of miso, pickles (help yourself to as much as you want), tea (drink as much as you need). You couldn’t get better value than this. You can also get 3-piece combi for 800 yen and 4-piece combi for 1000 yen. Oh yeah, I’ve locked my sights on the 4-piece combi for my next visit. Even at 3pm, the shop was almost full. we were lucky we managed to get 3 seats at the counter. 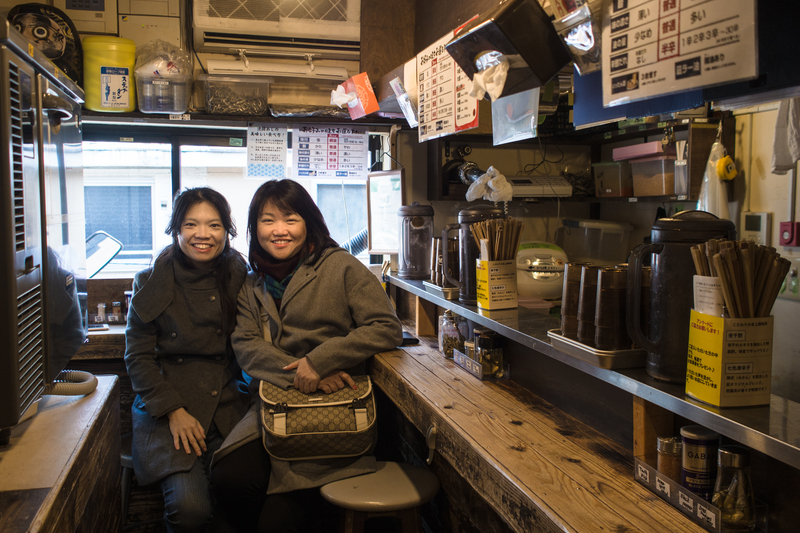 Once we settled down, we noticed a never-ending stream of people passing through the door. 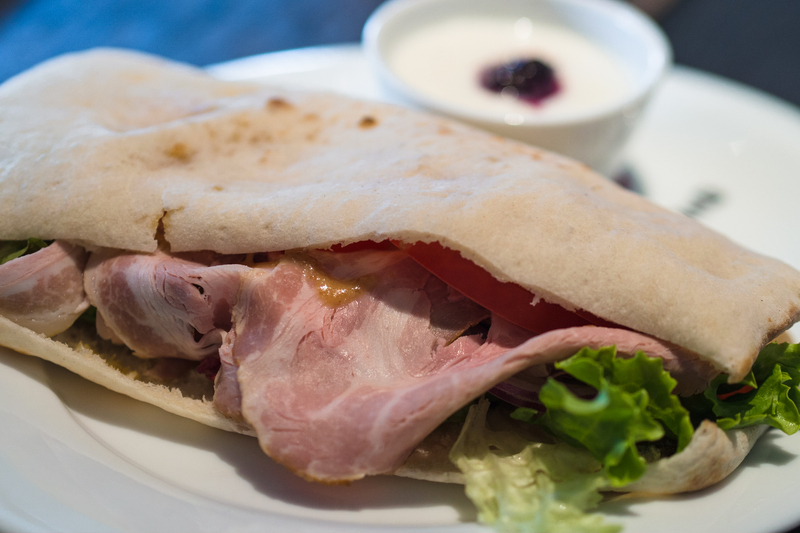 The proper eqtiqutte is to tuck into your meal enthusiastically, then make a quick exit to make way for other diners. 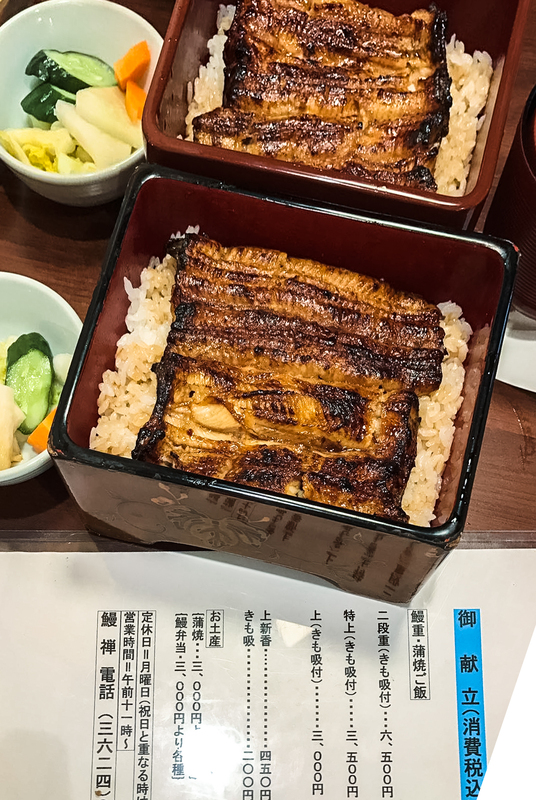 It is a shame not to have a go at unagi while in japan, especially if you are unagi lovers. That’s why we planned a stopover at Unazen 鰻禅 while sakura-viewing near Sumida river. To beat the crowd (since this was a highly rated place), we joined the queue outside the shop 10 mins before it opened at 11am. Of course, i didn’t go since Unagi had never been part of my diet, but my sources said it definitely lived up to expectations. I was told this was chicken. But seriously, I had my doubts. 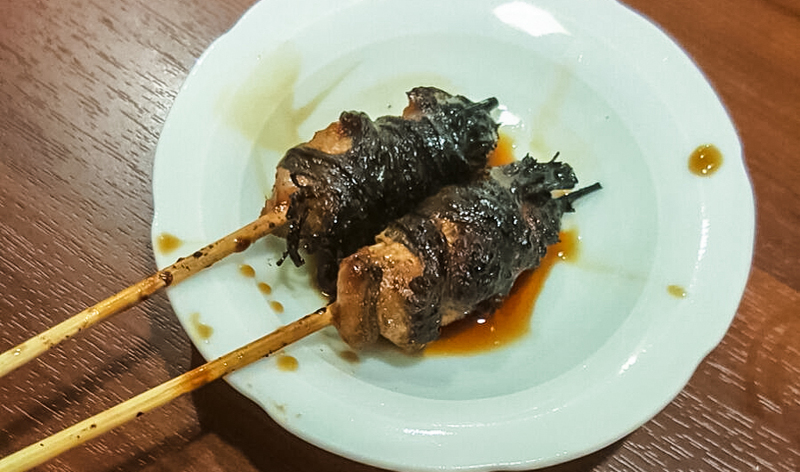 It was some kind of meat wrapped in a vegetable (maybe spring onion?) and glazed with a homemade sauce. Of course, there’s no way it wouldn’t be delicious. The unagi looked beautifully made, even to the uninitiated. 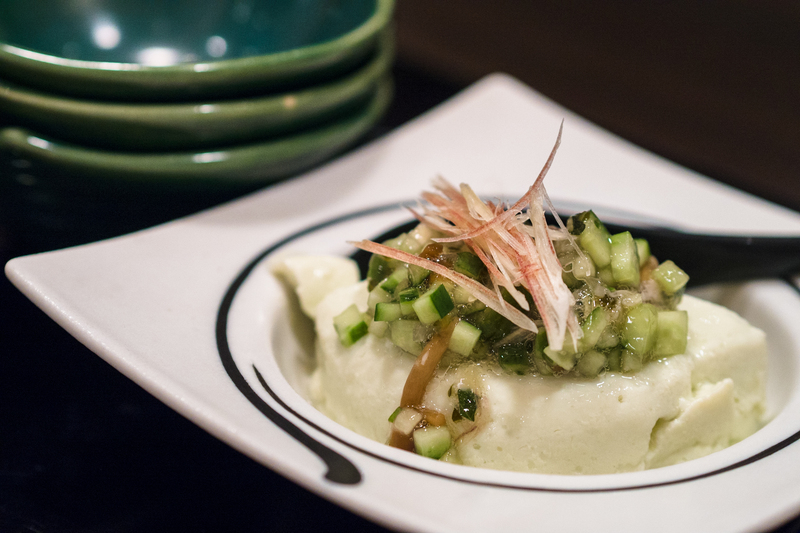 According to the tasters, it was tender, juicy and perfect with sake. Wow. I was surprised they had sake. How could they? Without me! I think, the main problem was figuring out the menu. I guess, if in doubt, just ask for the osusume (recommendation). Or order everything on the menu! 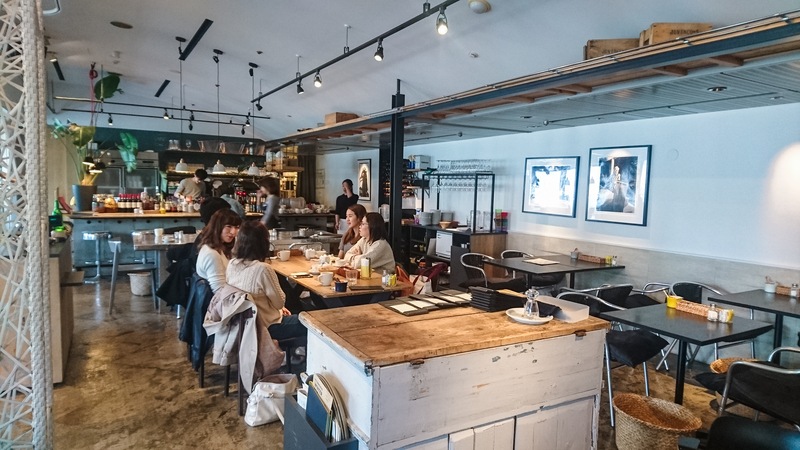 It wasn’t easy getting a lead on an interesting/cool/hip/unique breakfast place early in the morning. 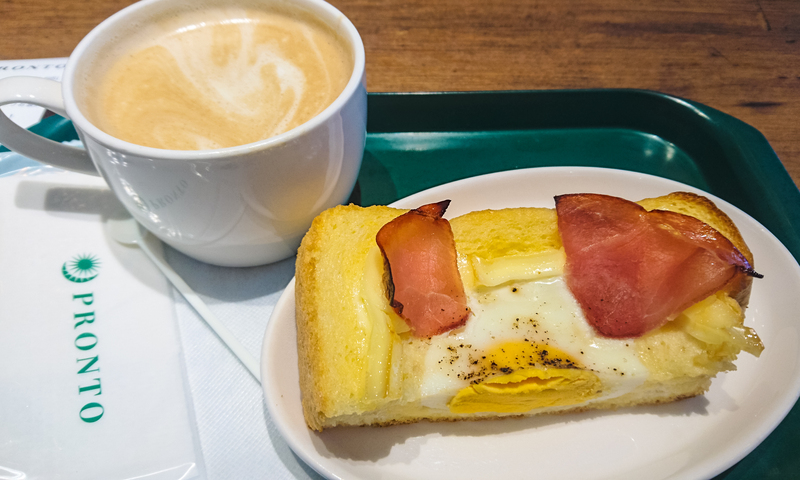 We usually go to the pronto near our house for coffee/bread. 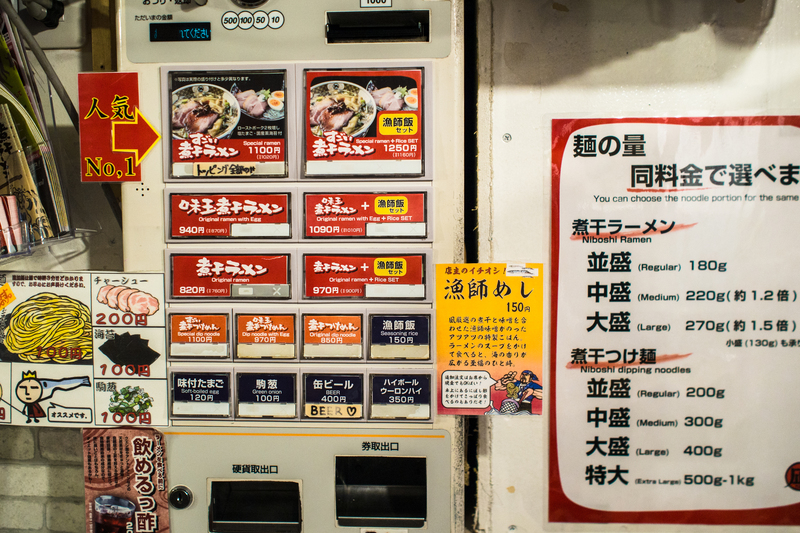 But it was our last day in Tokyo and that merited something special. 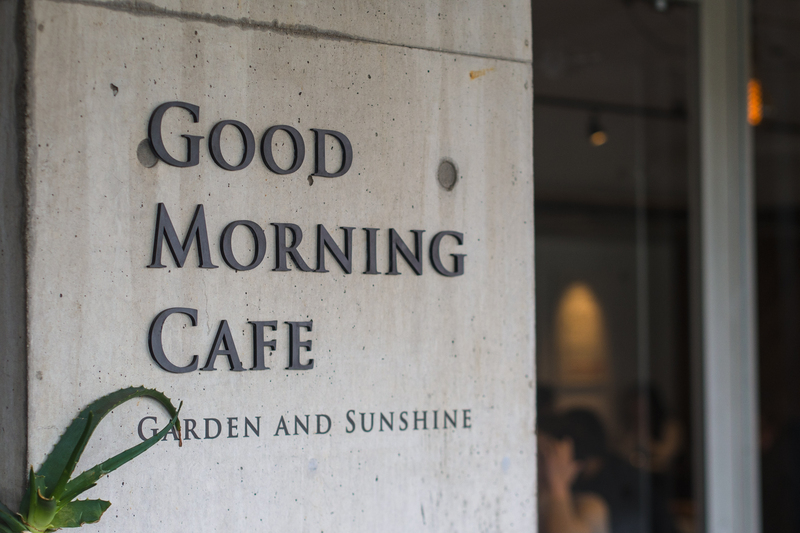 Since we were headed towards shinjuku gyoen, we decided to check out Good Morning Ccafe at Sendagaya so we could easily walk over to the garden’s Sendagaya entrance after that. here’s the menu, beautifully illustrated. 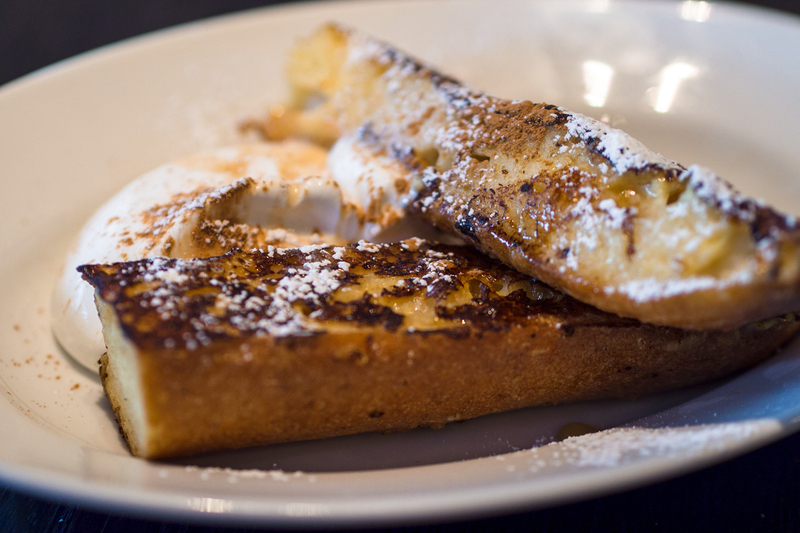 We ordered the homemade ham panini and the french toast and both tasted as good as they looked. It was a nice place to chill and relax on a sunday morning, but we had to focus on our mission (inspect the sakuras in Shinjuku Gyoen). going in via the Sendagaya gate was a good choice because the entire Tokyo appeared to have descended on Shinjuku Gyoen (it was Sunday afterall) and the queue outside the Shinjuku gate was a few km long. On the other hand, Sendagaya was so quiet you could hear a pin drop. We took a pleasant walk from the Kita-Sando station and didn’t meet other humans until we were 400m from out destination. There’re some notable eateries there so i’m definitely going back to check out this precinct again. It was raining rather heavily while we were headed to tsukiji market, thinking we must be the only fools to brave the weather. but i forgot that fools seldom differ and Tsukiji bore this out. it was packed to the brim with tourists and it’s only a Monday morning. Iwas thinking, if i were a local, I’d avoid Tsukiji like plague. 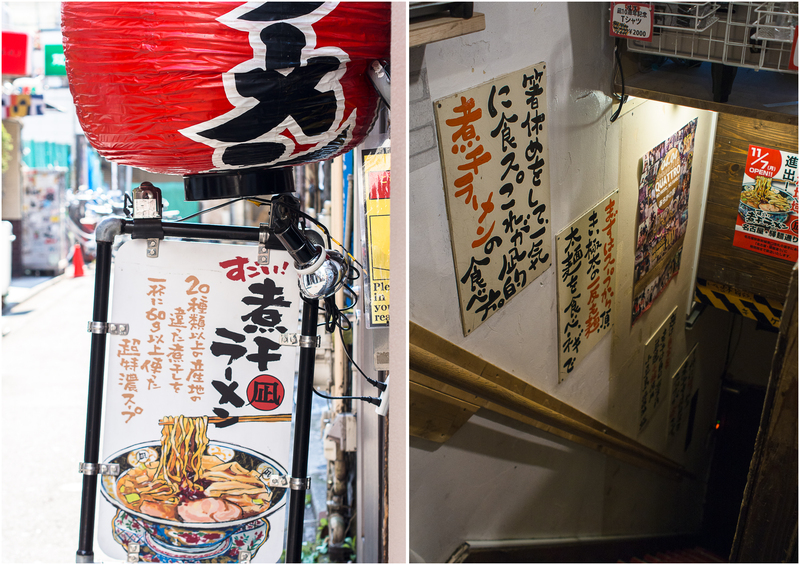 After struggling through some shops along the outer fringe and filling our arms with packets of dried food, we decided to take a break inside one of those chirashi places for brunch: Tsukiji Itadori Market. The shop had a simple rule: everyone who entered had to order 1 item. So the girls shared the chirashi and a soup while I sipped beer. For a moment, I was a bit worried that they’d make me order fish. Lucky! 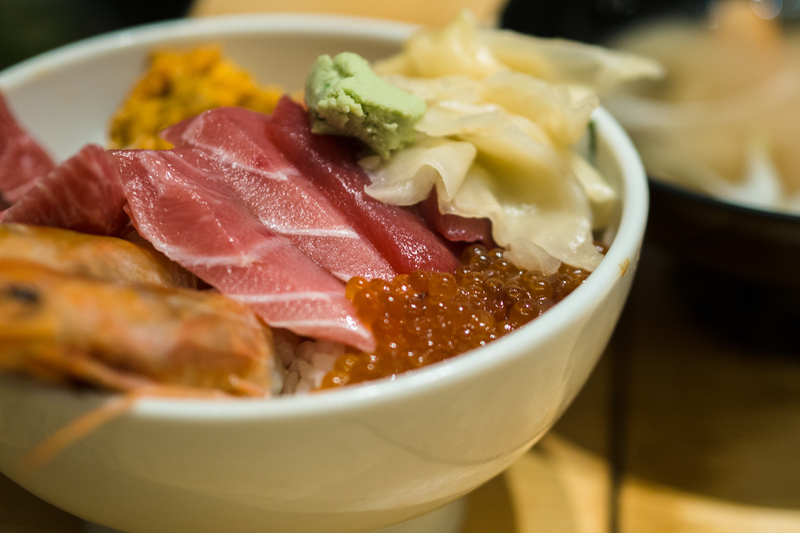 It was a super fresh bowl of Sashimi on rice and came with a hot bowl of soup (with craps or clams or both). But I couldn’t help feeling that it was a bit over-priced. Anyway, they were happy and that’s what counted. There are a few joints nearby under the Itadori Group that may be worth checking out and they are all clustered around that area. 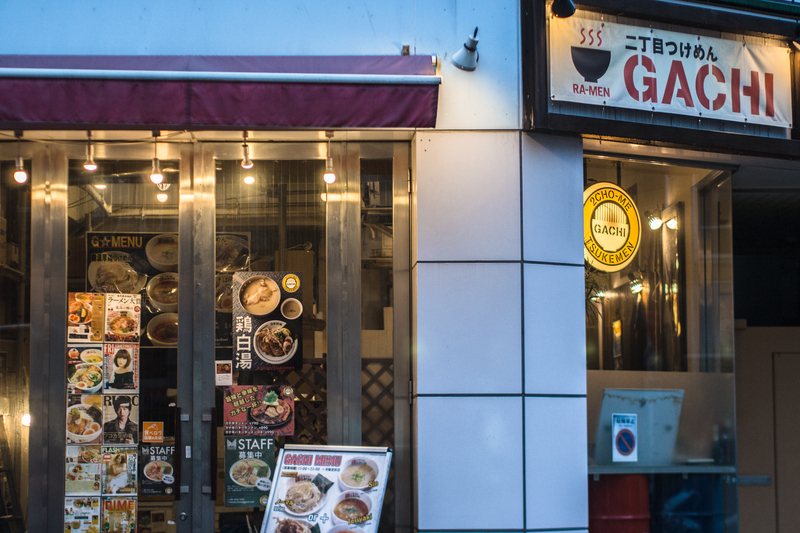 for those who are not into seafood, this Oyakodon place Torimeshitoritoubunten 鳥めし 鳥藤分店 further down the street looks interesting (i must remember this one if i ever go there again). The rain was the perfect excuse to hole ourselves up in isetan @ shinjuku sanchome, marveling at the array of sweets and food on display at the basement floor. My target was Suzukake, that famed sweets shop from fukuoka. The queue was long, but it moved fast. 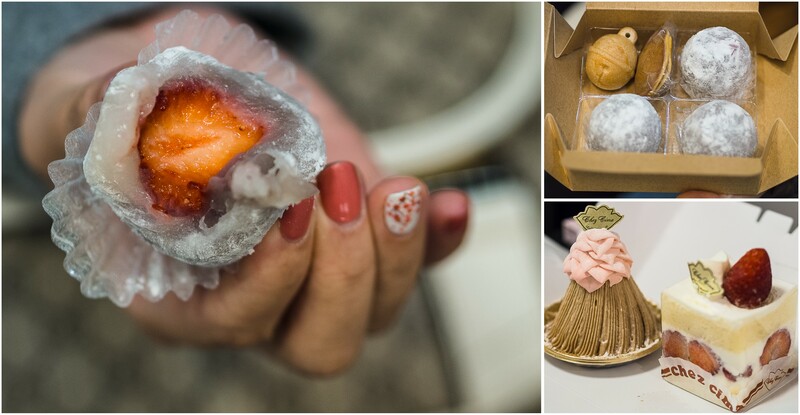 If you cannot imagine eating strawberry from a daifuku, then you must try it. the sweetness of the strawberry and red bean blended so well together that all you were left with was a light lingering freshness (from the strawberry), a tinge of sweetness (from the red bean paste) and memories of the soft chewiness of the mochi. You need to try it to know it. 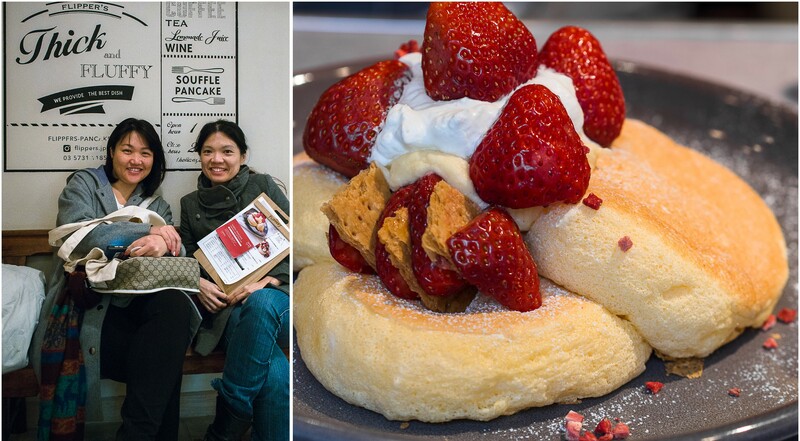 The #1 item @ Suzukake; it was only in season a couple of months in a year (when strawberries were in season) and had to be eaten within the day. Besides the ichigo daifuku, we also made sure we ate the other 2 japanese dessert staples: the montblanc and strawberry shortcake. They were of course, delicious as expected. I’ve been wanting to try Flipper’s forever, so while in Jiyugoaka, we joined the queue in an attempt to validate what’s all that fuss about. turned out to be rather disappointing. The souffle pancake looked good but tasted so-so (less souffle-ish than expected). I prefer Hoshino’s but then, I’d let others be their own judge. There’s no mistaking the chic and cool vibes though. So there you have it. All the good places that I’d not hesitate to go back again.